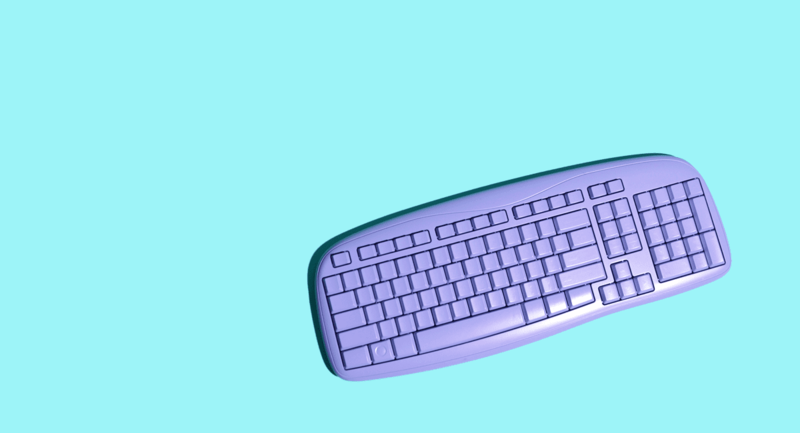 You don’t have to be an expert to blog. It might seem like you need to be well educated or versed on a subject to start a blog, but you don’t! 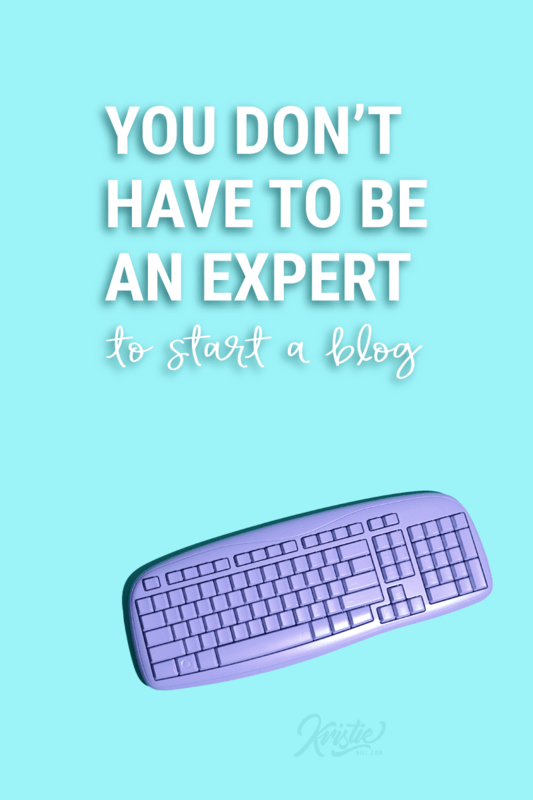 You don’t have to be an expert to start a blog. If there is a topic you want to blog on but you don’t feel qualified enough to blog about it – you can share your journey. People love seeing other’s journey. Whether it is learning a new skill or changing lifestyles. Sharing your journey makes it easier for other people to see themselves in the same process. If you can do it, so can they. Guess what? 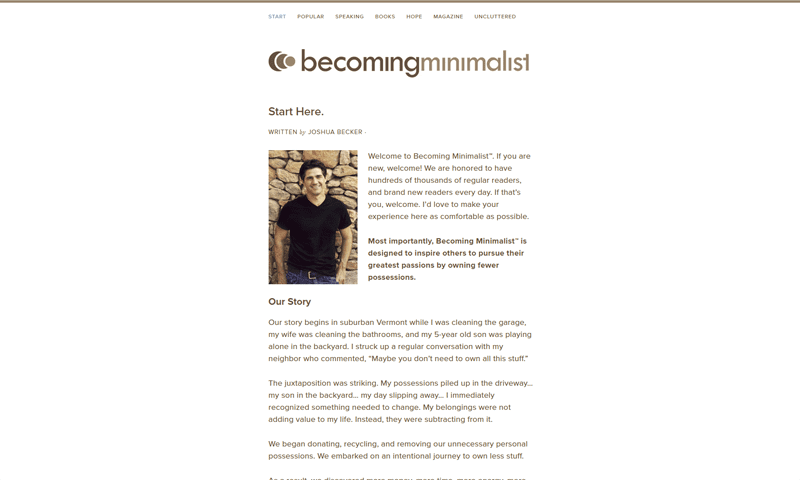 Joshua Becker of Becoming Minimalist hasn’t always been a minimalist. Once upon a time he had a garage stuffed full of junk too. If you’ve read any of his books you are familiar with his story. One day while Joshua was cleaning out his garage all day, his neighbor said, “Maybe you don’t need to own all this stuff” and introduced him to the word minimalist. He started his blog that month, May 2008. Fast forward 10 years and Joshua’s blog, becomingminimalist.com is a go-to resource for people wanting to de-clutter their lives. 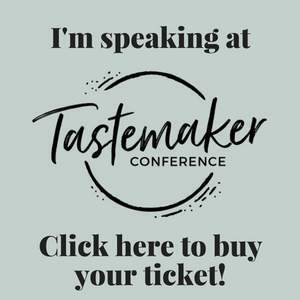 He has 3 bestselling books (and one on the way), an online course with thousands or students, a thriving blog with a million readers and a digital magazine created in partnership with other minimalist bloggers. And thus, the journey begins. The journey of becoming a minimalist. Reading that gives me goosebumps: “it seemed to be the one word that defined my deepest desires.” It’s amazing how that one word has changed his life, career and impact on the world! Joshua has been sharing his journey and story for ten years now. Think of all the people he has reached and helped along the way. He wasn’t an expert, he had look up the word minimalist. You don’t have to be an expert either. Don’t worry about being qualified or being an expert. Share your story and go from there. Joshua is just one example. 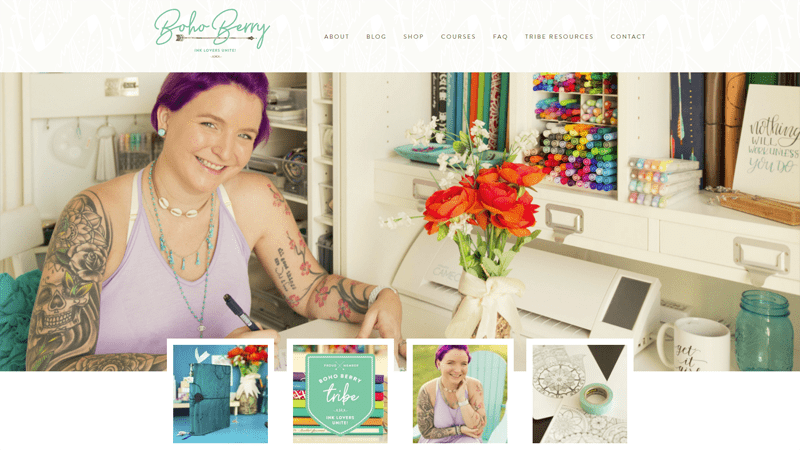 In 2015 I started following a brand-new blog Boho Berry, originally a lifestyle blog that Kara started to showcase her boho jewelry. Kara started experimenting with a bullet journal and shared pictures on Instagram. Her audience begged to know more so she eventually wrote about her experience trying out a bullet journal. Fast forward three years and bullet journaling has shaped her business. 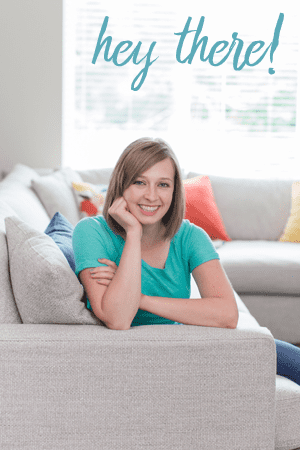 Kara has an online course where she teaches handwriting, a successful Etsy store selling stickers, a large community, a popular YouTube channel and hundreds of first page Google rankings for bullet journaling and related terms. Kara did not start the blog as an expert in journaling. However, in three short years Boho Berry has become a go-to resource for all things journaling, handwriting and planning. All topics helping you work towards your goals and live a more fulfilled life. I’ve loved watching Kara’s blog blossom into what it is today. 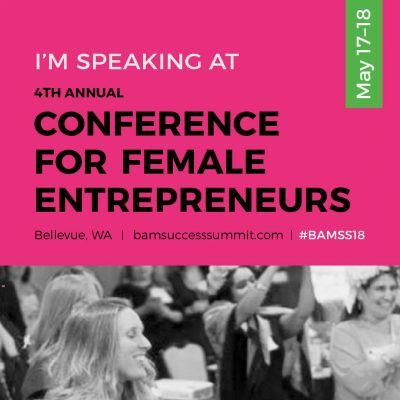 Kara has always shared content with the intent of helping you create your own amazing life, but now she is a favorite among planners. How to share your journey as a new blogger. They say the best learner is the teacher and that can be true for you as a blogger too. Share your progress and personal experiences and include tips for people wanting to do the same. Be the test dummy: you could test things out, conduct different experiments and share your results. WHY I CALL MYSELF THE CRASH TEST DUMMY OF ONLINE BUSINESS. I want you to use my successes and my failures to reach your own business goals. This is also why I publish my income report each month, so that you see what has actually worked for me. Maybe you’re trying to build an online business like Pat Flynn and so you share the marketing techniques and strategies that you try out. But, really you can be the test dummy in any industry. Maybe you have a black thumb but really want to be a plant lady. On your blog, you can write about the different plants you try to keep alive and what you did to ensure they stayed green and thriving. Or say you want to eat healthier but you aren’t sure which food plan is best for you: paleo, vegan or somewhere in between. Test them out. Report what you did, how they made you feel, etc. Expert or not, you can start a blog! A blog can be a catalyst to help you learn and grow. You don’t need to wait until you’ve perfectly mastered your passion to blog about it. You can start sharing your message from where you’re at. Bonus: you’ll get to help others along the way! Share your journey, test, experiement and you’ll be surprised to find yourself as an authority on the subject in no time. Feeling under-qualified is just one of the fears that keep people from starting a blog. I hope that this article has helped you gain a new perspective and outlook on blogging. We all have to start somewhere and it isn’t usually at the top. Start your blog or give that next idea a go. 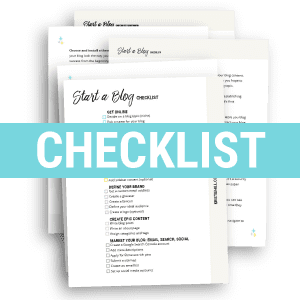 Subscribe to the Start a Blog emaial series to receive regular updates and tips about starting your blog & get instant access to the Start a Blog Checklist! 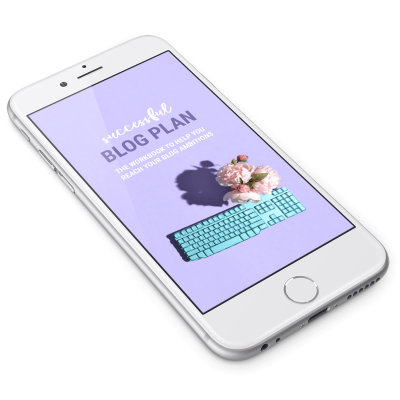 It covers all the things you need to run a successful blog! Previous Post: « 7 Quotes to inspire courage in the scared blogger. Really good Tips for me.I am a new blogger so its very helpful me. I’m so glad to get your help. YES!!! A lot of people that I talk to think that they have to have an English degree, or be a natural born writer to start a blog — so wrong! My background is in Cultural Anthropology and Nursing; I knew nothing about writing, marketing, tech, or running a blogging business. If you have the will and enjoy writing and social media — you can do it! Maybe not an expert yet, but sounds like you have a lot of good experience to share with the world! Outstanding post Kristie! You hit it on the button when you talked about not worrying about being a expert before you start. Every current expert in the world had to start in the same place. Yep! Everyone started at the beginning. Glad you agree with this one Doug. I couldn’t agree more to the title of this blog post. A lot of people are really interested in blogging, but for some reason they believe that being a blogger means you are really an expert to a certain niche or topic before you can write a good content. What they didn’t know is that you just need to do your research if you really want to come up with a decent content. The more knowledgeable you are in a specific topic, the more easier you can add value to it. Thanks a lot Kristie, that is all i needed to get started with blogging. Love the style & look of your blog. Its great to be part of such community. Yay! I’m glad this gave you the extra encouragement to start a blog. You got this. Outstanding article Kristie. Although blogging is complicated at first, it is possible to learn a lot through experience. Skills can always be developed and it is the same with blogging. Kudos to you for keeping things interesting. Thank you Al! I feel like so many of us (myself included) always feel like we have to be experts. It’s a limiting belief for sure. Amen Kristie. I began this journey as a laid off security guard. Now I am an island hopping pro blogger. I just needed to develop skills, to make money through my blog and to become a pro. The journey feels uncomfortable sometimes but I gotta say, circling the globe has been well worth a few moments of discomfort, right? We all have to start somewhere! It’s okay to have room to grow. It’s a good thing, actually. Nice hearing from you again Ryan. I haven’t read a single post about blogging that Pat Flynn and his blog haven’t been mentioned as an example 🙂 He’s inevitable, and if I can add a really REALLY great guy, as I had an opportunity to meet him and talk to him a few times. He’s definitely the pioneer in the blogging industry and so generous in helping others. 🙂 Good to know he’s just as awesome in real life. Awesome read as always! This article is so valuable. I’m so glad you think so Ashley! Perusing that gives me goosebumps: “it was by all accounts the single word that characterized my most profound wants.” It’s stunning how that single word has changed his life, profession and effect on the world! Definitely crazy to watch how our lives unfold from small moments. I LOVE this, thanks Kristie. I’m adding this post to the set list I give my coaching clients. Yay! I’m happy to hear this one is worth sharing with your clients Bianca. I hope it helps them move forward with confidence with where they are at in their journey.